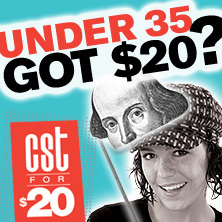 LANISE ANTOINE SHELLEY CHICAGO SHAKESPEARE: Short Shakespeare! productions of Macbeth and A Midsummer Night’s Dream, Chicago Shakespeare in the Parks production of The Comedy of Errors. CHICAGO: Lookingglass Theatre Company, Goodman Theatre, Steppenwolf Theatre Company. REGIONAL: American Repertory Theater; Outside the Wire; Shakespeare Santa Cruz; Milwaukee Repertory Theater (resident company member for five years); Kansas City Repertory; Indiana Repertory Theater. INTERNATIONAL: Macbeth, Aeneid, All My Sons (Chicago Fellow with Stratford Shakespeare Festival). TELEVISION: Chicago Fire (NBC), Discovery World. EDUCATION: MFA, ART/MXAT at Harvard University; BFA, Cornish College of the Arts; Certificate, British American Drama Academy in Oxford, England. Ms. Shelley is an actor and director, and will be directing Behold the Dreamers in Spring 2019 at Book-It Repertory Theater.